212° Academy students Allison Cleaver and Eva Cook have been selected as the winners of the SOKY Book Fest – 212° Academy Young Authors Contest. 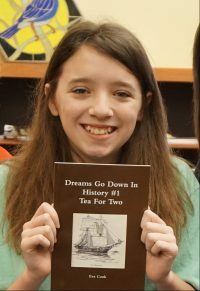 Cleaver, daughter of Kevin and Terri Cleaver, wrote the historical fiction book My World in Two, and Cook, daughter of Ryan and Amelia Cook, wrote the historical fiction book Dreams Go Down in History #1: Tea for Two. Cleaver is a 6th grader from Jody Richards Elementary School, and Cook is a 6th grader from Alvaton Elementary School. WKU Libraries Literary Outreach Coordinator and SOKY Book Fest organizer Sara Volpi said there was a wonderful variety of books this year. “We were exceedingly impressed with the imagination and effort put into each book the 212° Academy students wrote,” said Volpi. “The students work diligently for months, drafting their stories, revising, and sourcing illustrations. Picking the winners is always tough,” said Volpi. One highlight of the 212° Academy experience is participation in SILS (Special Interest Labs), including areas of study such as Inventor’s Workshop, Roller Coaster Physics, and Wild Worlds. 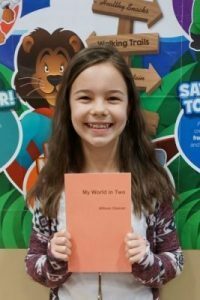 Led by teacher Andrea Heming, students in the Lulu Online Book Publishing SIL wrote, illustrated, and published original books which are entered into the Young Writers Contest. The contest is a combined effort between the Southern Kentucky Book Fest partners (Barnes & Noble Booksellers, Warren County Public Library, and WKU Libraries) and the teachers at the 212° Academy. Cleaver and Cook were recognized at their schools and are invited to sign copies of their books at the Southern Kentucky Book Fest on April 21-22, along with R.L. Stine and 170 plus authors. For more information, visit www.sokybookfest.org or contact Sara Volpi at (270) 745-4502. 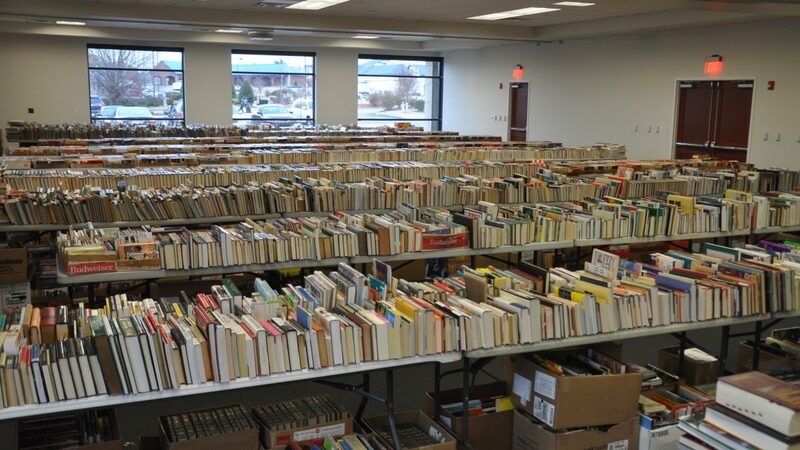 The Southern Kentucky Book Fest Used Book Sale will be held Friday, March 3 through Sunday, March 5 at the Bob Kirby Branch of the Warren County Public Library, 175 Iron Skillet Court, in Bowling Green. The sale will be held from 9 am to 5 pm on Friday, March 3; 9 am to 5 pm on Saturday, March 4; and from 1 pm to 5 pm on Sunday, March 5. Donations of books, videos, CDs, records, DVDs, and audio books are welcome at all Warren County Public Library locations, Barnes and Noble Booksellers, and at WKU Libraries Cravens 4th floor (at circulation desk). Magazines and textbooks are not accepted. Donated materials are tax deductible. SOKY Book Fest is a partnership project of Barnes & Noble Booksellers, Warren County Public Library, and WKU Libraries. The partnership’s mission is to encourage reading and the love of books and to be a positive force in promoting literacy in the region and state. 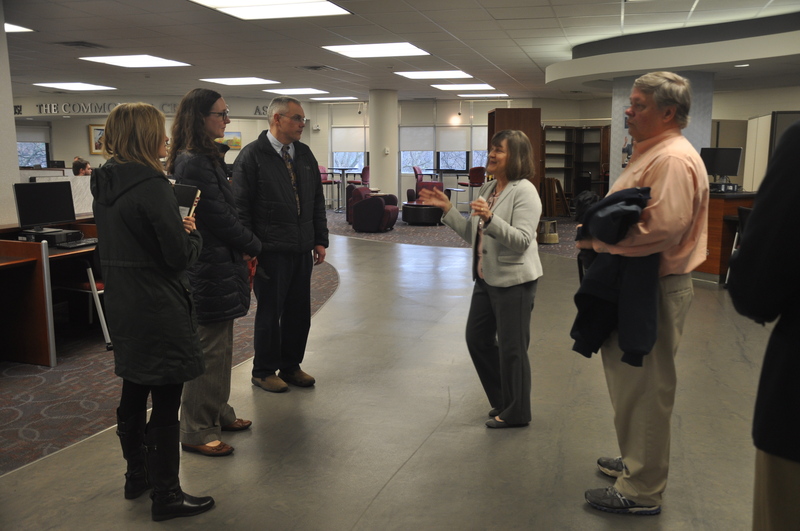 Dean Connie Foster gave the Student Affairs Working Group from the University of Kentucky College of Medicine a tour of the main branch of WKU Libraries on Thursday, January 19. 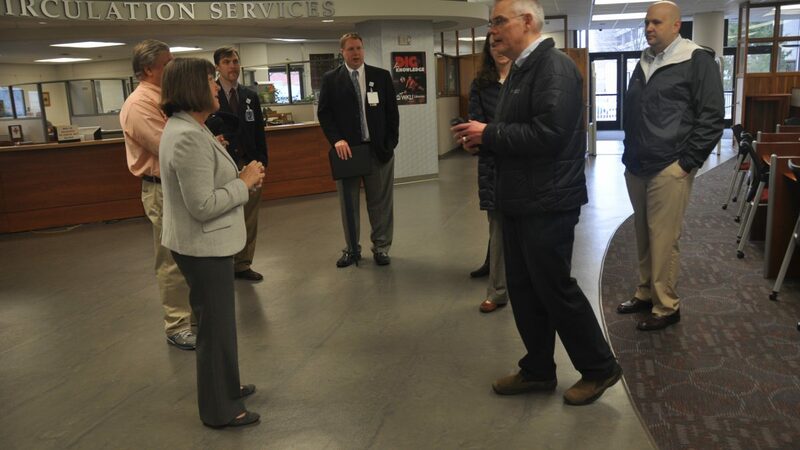 WKU recently partnered with UK and the Medical Center at Bowling Green to help expand medical education in the south central and western regions of the state. 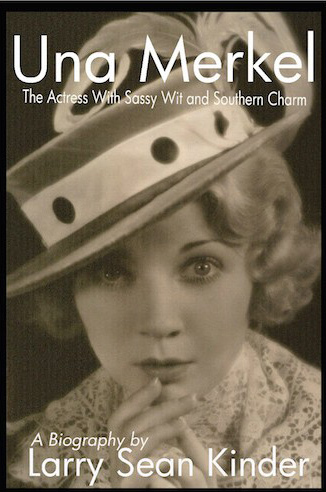 Congrats to Library Professor Sean Kinder and author of Una Merkel: The Actress with Sassy Wit and Southern Charm Recently named Huffington Post’s Best Film Books of 2016 (Listed under the section “More biographies of Actresses)! WKU Libraries celebrated the end of Fall 2016 with a holiday gathering at 440 Main. 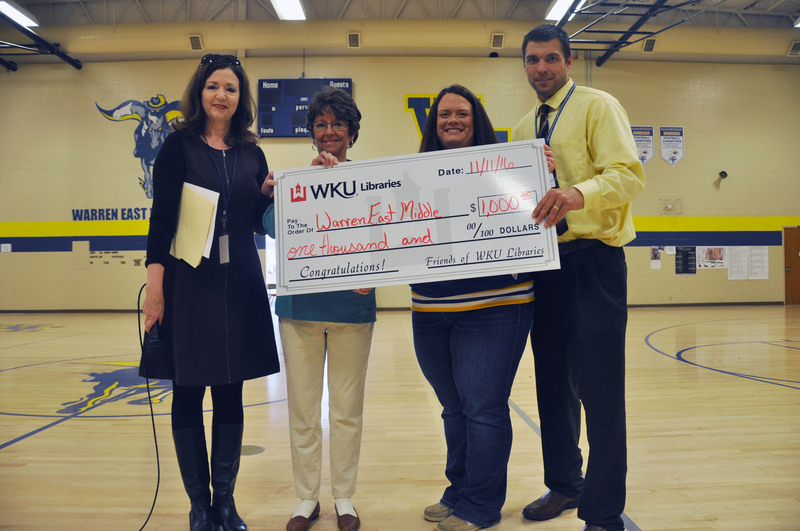 Warren East Middle School was recognized on Friday, November 11 at the school for being this year’s winner for the School Library Grant sponsored by the Friends of WKU Libraries. 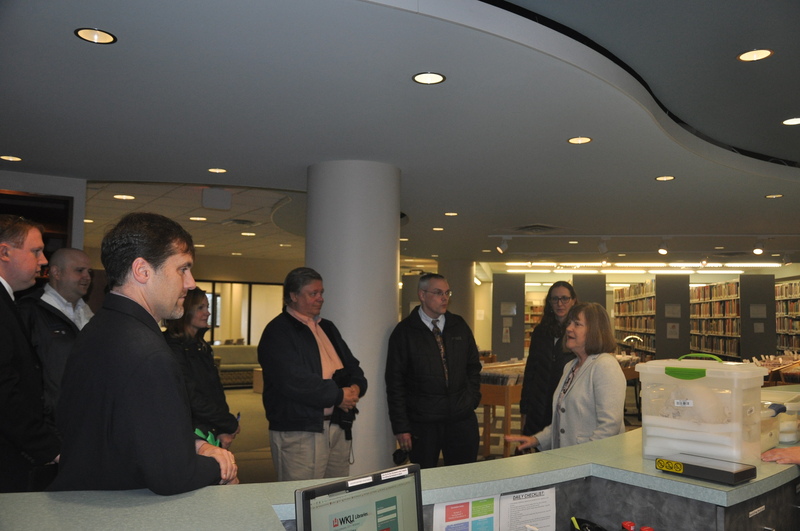 This is the third year WKU Libraries has offered the grant to schools in the Barren River Area Development District. The grant is made possible with funds from Friends of WKU Libraries and is given out to one middle or high school annually with different purposes, including improving collections or technology, for professional development funds, to improve students’ research skills, and to offer reading enrichment opportunities. 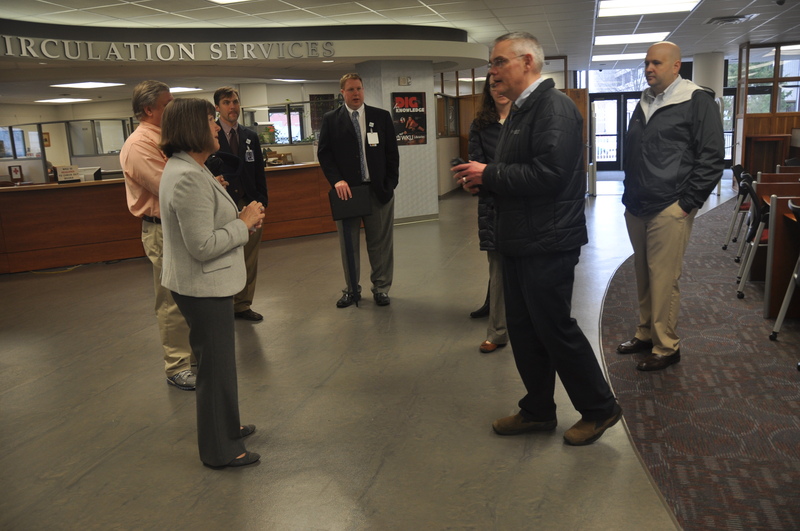 Library Advisory Council members served as the selection committee for the grant. When reviewing the applications, the selection committee looks at financial need, the nature of the proposal, and the impact it will have on the student body. Lee Ann Shearon is the Library and Media Specialist who wrote the winning application for the school. 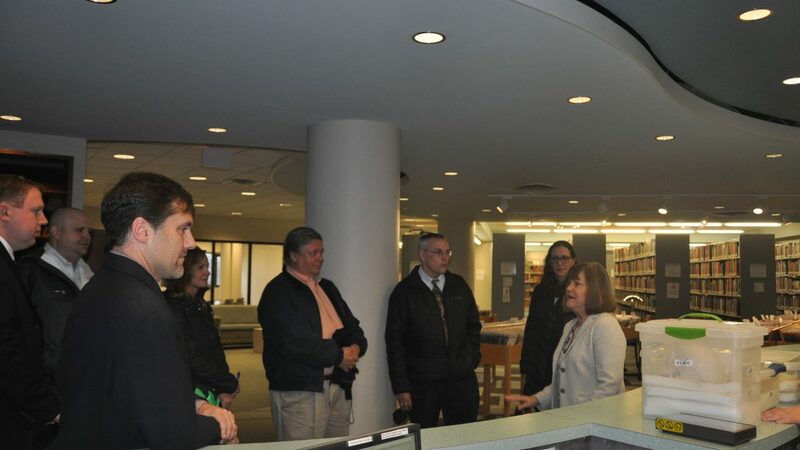 According to Shearon, the grant money will be used to improve the technology of the library by purchasing Chromebooks for research and other educational purposes. “Many students do not have access to technology at home. We have to expose them at school and give as much access as possible to make them college and career ready,” said Shearon. 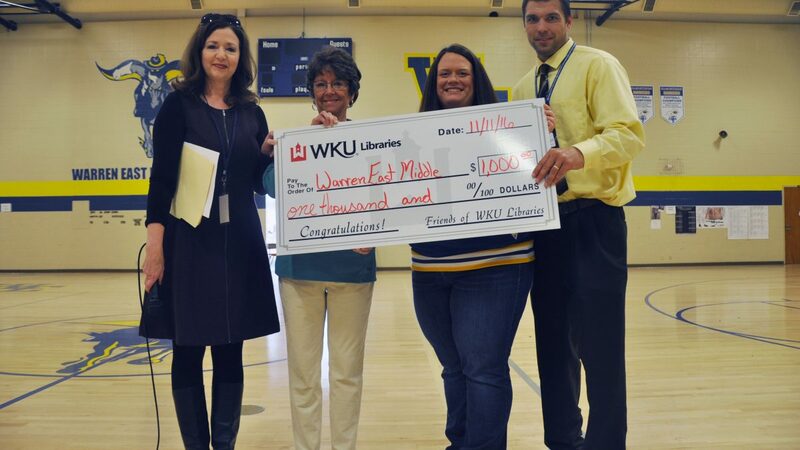 WKU Library Advisory Council members Laura Eason and Nancy Priest along with WKU Libraries Marketing Coordinator Jennifer Wilson attended an afternoon Veteran’s Day celebration to make the announcement and present the check for $1,000 to Ms. Shearon and Principal David Cloyd. For more information about the grant, contact jennifer.wilson@wku.edu. Bestselling author Robert Beatty will visit Bowling Green on Thursday, October 20 at 6pm at the Warren County Public Library’s Bob Kirby Branch as part of the annual SOKY Reads one book, one community reading program. Beatty will read from and sign both Serafina and the sequel, Serafina and the Twisted Staff. This event is free and open to the public. Books will be available for purchase on site. 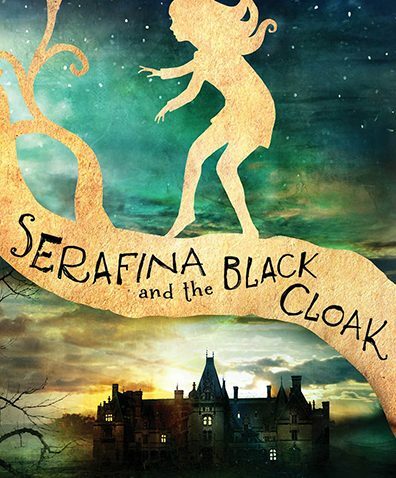 Serafina and the Black Cloak, part one in a three-part series, is a mystery-thriller published by Disney Hyperion. 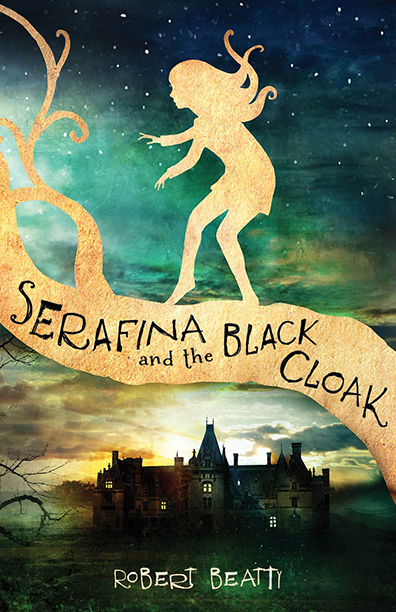 The book is set at the Biltmore Estate in Asheville, North Carolina and features the energetic, intelligent heroine Serafina as she solves the mystery of the sinister Man in the Black Cloak. A compelling mix of historical fiction, excellent characterization, and high-energy adventure, the book has excited audiences since its release and more than 25 weeks on the NYT bestseller list. It won the Pat Conroy Southern Book Prize and received outstanding reviews from Kirkus, Publishers Weekly, and more. 300 copies of the book were distributed to schools throughout Bowling Green, thanks to the generous sponsorship of Graves Gilbert Clinic. 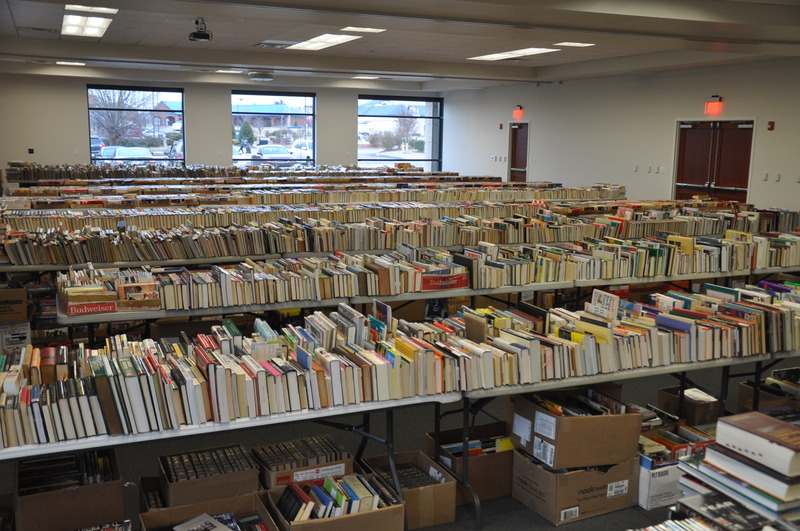 Funding from Friends of the Warren County Public Library provided more than 100 additional books given away during various community events during September. As part of his visit to Kentucky, Beatty will also speak at local schools in the area as well. SOKY Reads is an outreach program of the Southern Kentucky Book Fest, a partnership of the Warren County Public Library, Barnes and Noble Booksellers, and WKU Libraries. To learn more about getting involved in the SOKY Reads program next year, contact Sara Volpi, Literary Outreach Coordinator for WKU Libraries, at sara.volpi@wku.edu. Western Kentucky University Libraries has selected Duncan the Story Dragon, written and illustrated by Amanda Driscoll, as the winner of the tenth Evelyn Thurman Young Readers Book Award. The national award was created to honor the memory of former WKU librarian Evelyn Thurman, who made significant contributions to children’s librarianship and literacy during her 25 years of service to the university and community. Books eligible for the award must be written or illustrated by a Kentucky author or illustrator or have a significant Kentucky-related connection. This year’s winning book is a children’s illustrated book. 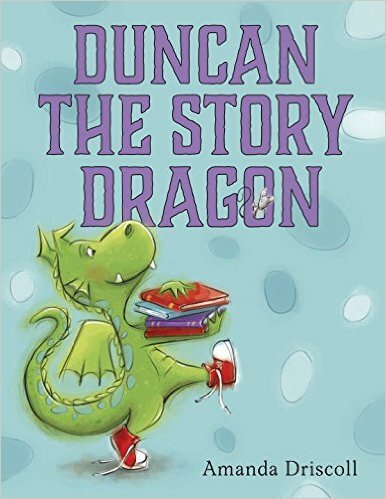 Duncan, the main character, is a charming fire-breathing dragon who loves to read. According to Driscoll’s website, his imagination catches fire, but so does his book. “Readers will enjoy the sweet story and whimsical illustrations as Duncan the Story Dragon finally figures out the ending to his story,” said Renee Hale, selection committee member and school media librarian at Drakes Creek Middle School. Amanda Driscoll was born and raised in Louisville, Kentucky. She worked as a graphic designer in the corporate marketing departments of Humana and Providian, and directed art at a Louisville ad agency. She has been with her own company, Driscoll Creative, since 1997. 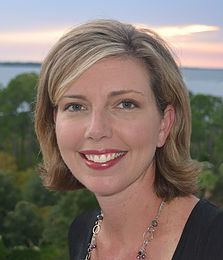 After having children, Driscoll rediscovered her love of picture books, finding her true passion. Duncan the Story Dragon was her debut picture book, released in June 2015. The author will be honored at an awards luncheon in November. 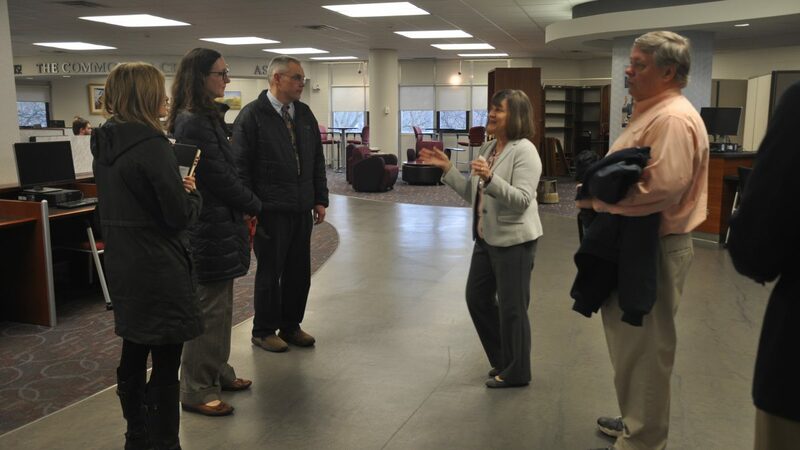 While in the area, Driscoll will visit local schools, reinforcing the importance of reading, writing and the value of books. Visit http://www.wku.edu/library/awards/evelynthurman.php for more information about the award. This program is made possible by the Evelyn Thurman Children’s Author Fund, the Southern Kentucky Book Fest partnership, and Friends of WKU Libraries. For more information, contact Sara Volpi, literary outreach coordinator for WKU Libraries, sara.volpi@wku.edu or 270-745-4502. The exhibition has been open to the public since June; however, the opening reception is intended to capture students and the community with the academic semester now is session. 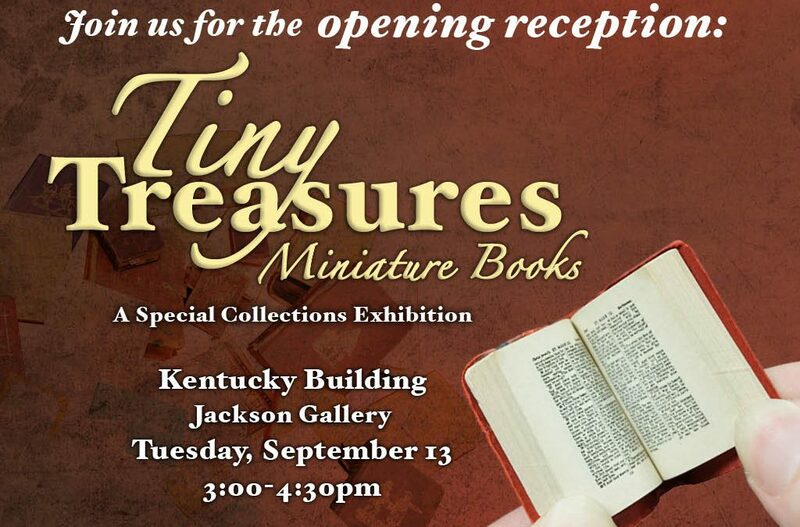 Tiny Treasures will be on display now until December 8, 2016. The opening reception is free and open to the public. For more information about the reception and the exhibition, contact Joseph Shankweiler at 270-745-6303. The Southern Kentucky Book Fest celebrated its 18th year this past April, welcoming over 140 authors and illustrators to the Knicely Center in Bowling Green for two full days of celebrating reading and the love of books. With dozens of panels and presentations on Saturday, book fans were able to learn from and interact with best-selling authors representing all literary genres. On Friday, aspiring teen and adult writers attended writing conferences with authors, focusing on everything from writing with the 5 senses to character development and more. SOKY Book Fest events are free and open to the public, and we’ve got plenty of exciting programs to celebrate literacy throughout the year. Visit our website sokybookfest.org, or find us on facebook, twitter, and Instagram for updates and announcements. If you have any questions, send an email to Book Fest coordinator and Literary Outreach Coordinator Sara Volpi at sara.volpi@wku.edu.